If you own an Samsung Galaxy S4 or S5 there is a good new for you. 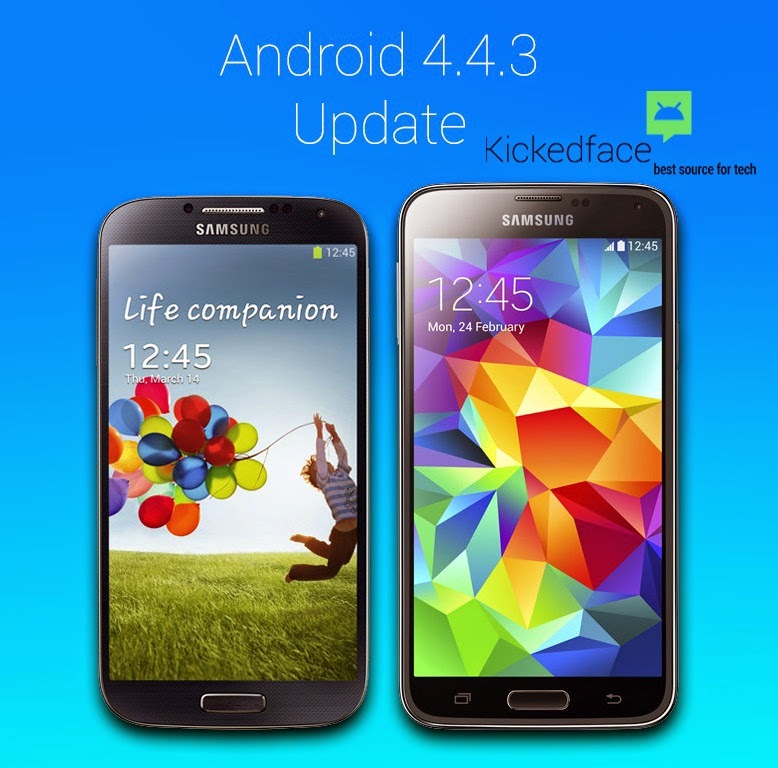 Android Geeks confirms the update via leaked update status report, the Samsung Galaxy S5 will have the Android 4.4.3 update rolled out to it shortly as all final testing has been completed. 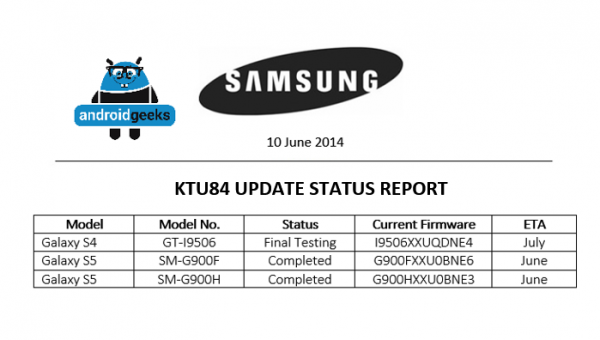 As well, the documents states that the Galaxy S4 is in the final testing portion of the update and should be following right behind the Galaxy S5 in seeing the latest version of Android rolled out to it. Unfortunately, while this is still just “leaked document”, the format follows the same design as previous leaks from Samsung in regards to update schedules. As well, it is important to note that although Samsung may be releasing the update out to the carriers, each individual carrier may take longer to roll it out to their subscribers. While the release dates for both devices state June and July, it may be another few weeks before they start popping up onto devices. You can most likely expect some more small tweaks done by Samsung, such as modifying the changed phone dialer to fit more in line with the Touchwiz experience.